Jealousy is an ugly emotion no matter what type of critter is expressing it. We all know the human clichés depicting jealousy’s vengeful stares, back stabbing, and plotted revenge to right a perceived hurt. But is the supposed cause (the receiver of jealousy) always the real problem? I doubt it. 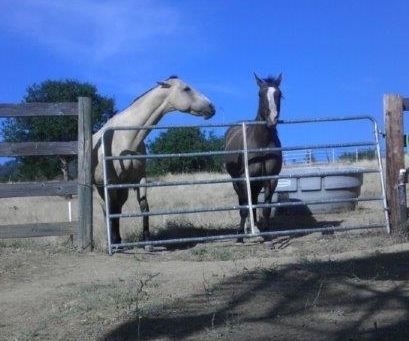 Last week I witnessed a show of jealousy between two I know very well—my horses. While leading them both at the same time the jealous one, Miss J, tried to take repeated bites out of the perceived offender, Y.O. Walking between them I took the teacher role and told the jealous one to knock it off with both my voice and a quick redirection of her feet with the lead rope. Others may have seen the bites as a demonstration of the animal world’s pecking order, but knowing the two as well as I do, it was plain ole jealousy. My solution was to slap a saddle on the jealous one instead and ride her that day. While I doubted being ridden was what she really wanted, I decided it was her turn. After grooming them both thoroughly and saddling Miss J, I took them both up to the arena. Following brief ground exercises I found Miss J’s attitude somewhat nervous and lacking in direction. Ah, ha! This further reinforced my belief in her prior jealous feelings for Y.O. As she is the older and better broke horse, I’d been using Miss J as a second horse for others to ride while I rode Y.O. Receiving mixed signals from other riders may have caused her confusion, nervousness and a slight tendency towards disobedience. You know—I want to go over there—no, I say we go that other way instead. The funny thing was I recalled the gelding I’d had before, expressing those exact same feelings toward Miss J when she had been the young one on our ranch. Miss J tried ignoring my cues to go where I asked and suddenly wanted to be with the receiver of her prior jealousy, Y.O. Enter buddy sour attitude. It didn’t take much to redirect her feet in the directions I chose to travel; after a brief walking, trotting, stopping and circling session of twenty minutes, Miss J was no longer acting buddy sour or nervous. No, Miss J wasn’t worked to death; she just received sensible reminders of who was in charge. She smoothed out and became her old self again. After riding that day I soaked Miss J’s feet, hosed off Y.O. and gave Miss J further attention with the electric clippers to pretty up her head. She dropped her head quietly. She liked it. And what was my lesson? Other days I’d seen flashes of jealousy cross Miss J’s eyes when I handed her reins to someone else. At the time I took her furtive glances as her unwillingness to go for a ride, period. Now I recognize what it was—good ole jealousy over my lack of attention when my focus would be on Y.O. Yes, Miss J still needs attention. 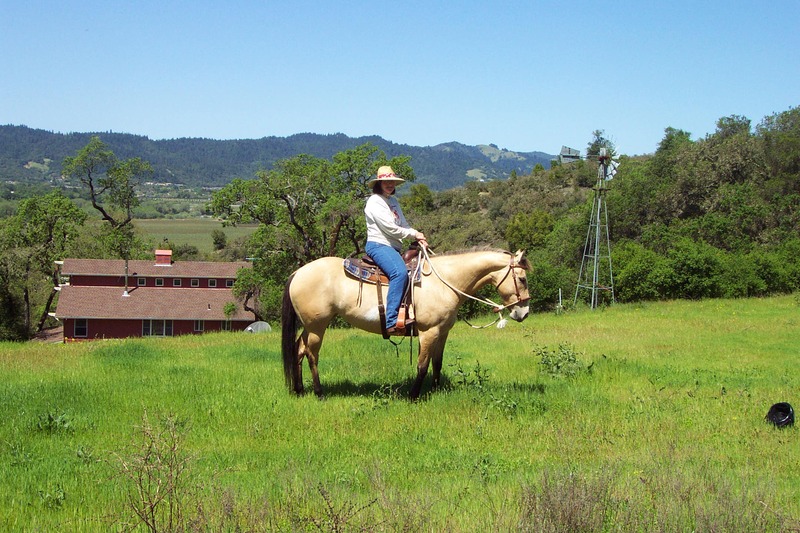 This entry was posted in authors, California Writers Club, Horses, riding, Sonoma County, trail riding, Writers and tagged California Writers Club, horseback riding, writers. Bookmark the permalink. Seems Miss J needs Mom’s attention, not just anybody’s. Arletta’s right: YOUR attention, not some random rider. Thanks, Arletta & Thonie! Hmm, will plan something for her.